i love it - so we will see stairwells for transfers for staff and visitors and patients who do not need elevators? Looking really good chaps! Gets better and better with each screenshot! The level of detail is really incredible, the game legitimately looks bloody fantastic! I'm not sure if I'm just seeing this wrong, but it almost looks as if the lift/elevator has a lift shaft! 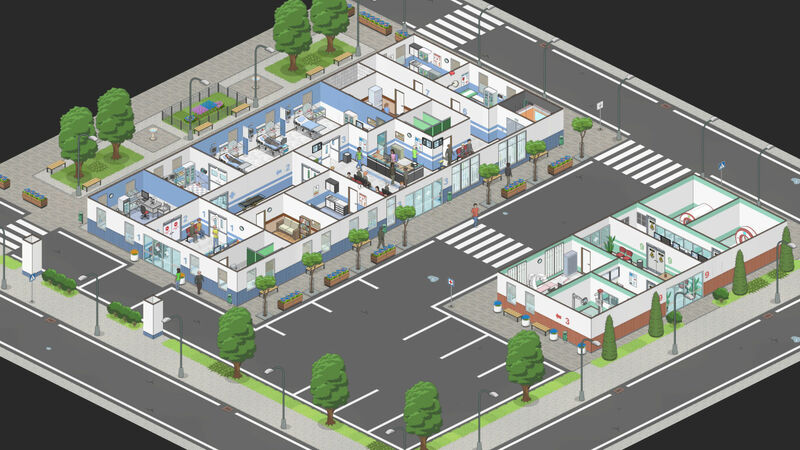 this will be the ultimate hospital simulator ever! Love these pictures. The skyways are a wonderful touch. I love that we will be able to develop a campus with different connected buildings. Another thing I picked up on when I last viewed these images is that it appears as though there are different sized lots available to build on. 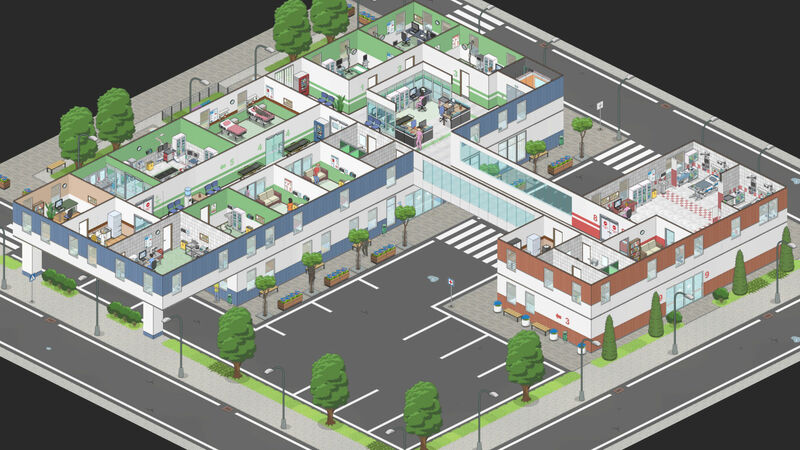 The lot size in the thread titled '2018_05_03 - Screenshot: building' looks as though it is significantly bigger than the lot shown in these screenshots. Does this mean we'll be able to choose the lot size in the free build modes? I'd personally love that option to be there, sometimes I want to force myself to make something work on the smaller lots while other times I want total freedom to build whatever I might like to! Numptychops wrote: Another thing I picked up on when I last viewed these images is that it appears as though there are different sized lots available to build on. 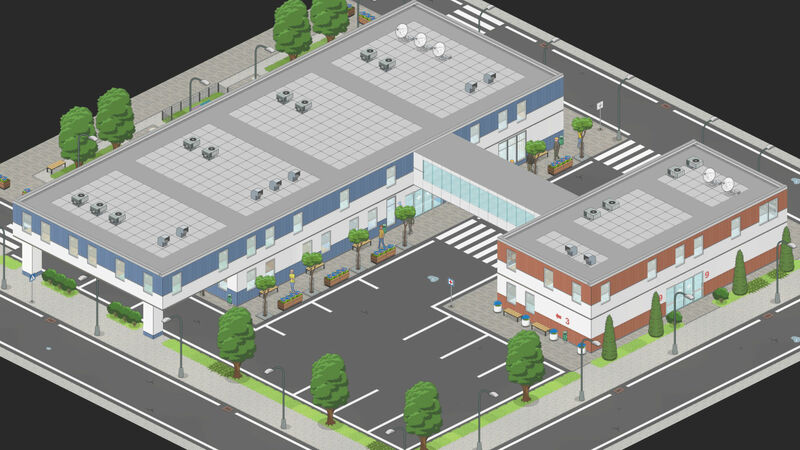 The lot size in the thread titled '2018_05_03 - Screenshot: building' looks as though it is significantly bigger than the lot shown in these screenshots. Does this mean we'll be able to choose the lot size in the free build modes? I'd personally love that option to be there, sometimes I want to force myself to make something work on the smaller lots while other times I want total freedom to build whatever I might like to! Nice catch! Different sizes in sandbox are planned, and also different aspects are possible (like a 2 to 1 rectangle). Major rust fixed, blazer console and bonnies installed.